Virgil Caudill has never gone looking for trouble, but this time he's got no choice -- his hell-raising brother Boyd has been murdered. Everyone knows who did it, and in the hills of Kentucky, tradition won't let a murder go unavenged. No matter which way he chooses, Virgil will lose. 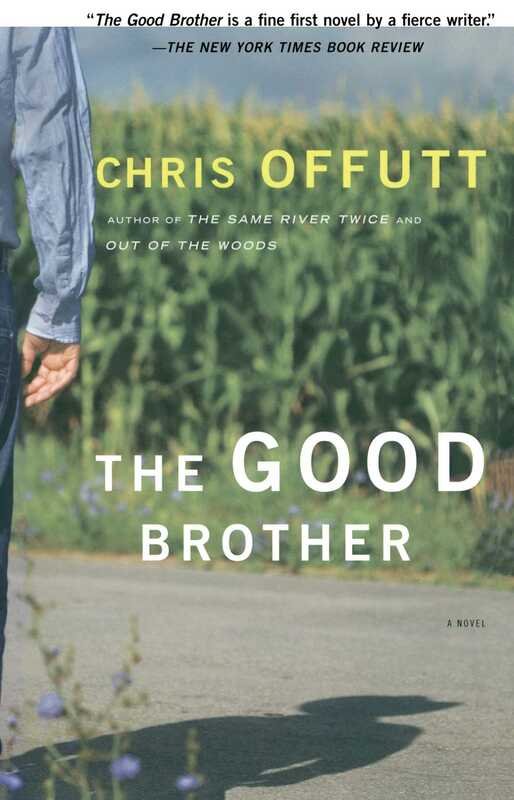 The Good Brother, Chris Offutt's finely crafted first novel, is the story of Virgil's struggle to find his real self in the wake of an impossible choice. Traversing the American landscape from the hollows of Eastern Kentucky to the plains of Montana, Offutt explores the hunger for belonging that drives our most passionate beliefs, and in the process shows himself to be one of our most powerful storytellers. Virgil followed the rain branch off the hill and drove to the Blizzard post office. The mail hadn't come yet and he continued past, giving a general wave to the crowd that gossiped in the glare of April sun. He drove up a steep hill to the county line. It was only two miles from the house he'd grown up in, but he'd never crossed it. He parked by the edge of the cliff. The color of the air was brighter at the top. Clay Creek ran through the hollow with purple milkweed blooming in the ditch. When Virgil was a kid, he and his brother had walked its slippery bank, gathering enough empty pop bottles to buy candy when they reached Blizzard's only store. Virgil wished he and Boyd could do it again but people had stopped throwing pop bottles away when the deposit rose to a nickel. The store closed when the owner died. Boyd was dead now, too. Virgil tried to imagine the land when it was flat across the hilltops, before a million years of rain chewed the dirt to make creeks and hollows. Clouds lay in heaps like sawdust piles. He figured he was seeing out of the county and he wondered if hawks could see farther, or just better. The world seemed smaller from above. The dips and folds of the wooded hills reminded him of a rumpled quilt that needed smoothing out. Cars were leaving the post office, which meant the mail truck had arrived. A titmouse clung to a tree upside down, darting its head to pick an insect from a leaf. Pine sap ran like blood from a wound in the tree. Virgil drove down the road and parked in willow shade beside the creek. A tattered flag dangled above the post office, fastened permanently to a hickory pole. Every morning the postmaster, a white-haired man named Zephaniah, dragged the flagpole from the post office and slipped one end into a hole in the earth beside a fence post. He buckled a leather belt around the flagpole and the post. At day's end he stored the pole inside. Instead of a system of organized boxes, Zephaniah had laid out a few narrow tables to correspond roughly with the surrounding terrain -- two hollows, a hill, and a creek. He arranged the day's mail in stacks that represented the location of each family's house in the community. Virgil leaned on the narrow shelf that protruded from the arched hole in the wall where Zephaniah worked. The shelf's edge was round and smooth from years of use. "Flag's looking kindly ragged, ain't it," Virgil said. "Government never sent a new one this year." The screen door banged as a man from Red Bird Ridge came in. "Mail run yet?" he said to Virgil. "I ain't seen you since..."
The man adjusted his cap, looked at the floor, and rapidly scratched his sideburn. The last time they'd met had been at Boyd's funeral. Virgil didn't know how to ease the man's discomfort. "Well, a long while went by since I seen you," the man said. He stepped to the window and looked through the mail that Zephaniah had gathered for him. "Write me a order, will you, Zeph?" "Ten dollars even. Mamaw owes the doctors that much a month." "I don't know, that clinic in town. The one everybody goes to." Zephaniah filled out the form, printing carefully. When he finished, he waited, and Virgil knew that Zephaniah would stand there all day rather than insult the man by asking him to write his name on the money order. "Go ahead and sign it for me, Zeph." Zephaniah wrote the man's name at the bottom of the money order, and asked for eleven dollars. The man placed three fives on the shelf. "Buying money sure ain't cheap," he said. "Best to have a checking account," Zephaniah said. "None of my people have fooled with banks and I ain't about to start now." The man nodded. Zephaniah wrote the address on a pre-stamped envelope and made change. The man went outside and spoke to Virgil through the screen. "Come here a minute." Virgil went to the door. The man pressed his forehead to the screen, his skin pushing through the mesh in tiny squares. "I knowed your brother," he said. "You tell your mama I'm sorry." Virgil never knew what to say back. The man looked up and down the creek before speaking in a ragged whisper. "It was a Rodale done it. Billy Rodale." The man walked swiftly to his truck. Virgil leaned against the wall and inhaled as deeply as possible. He let the air out in a long slow breath. Across the road, green tendrils of forsythia bushes dragged the creek. "Virge?" said Zephaniah. "You all right?" "Yeah. Just sick of it." "You know. Boyd and all." "You didn't hear what he said." "I heard. Ears is the last thing I got left that works." "Well, I'm sick to death of it. I know who it was. The whole damn creek does, and I don't need everybody telling me. They figure I don't know since I ain't done nothing." "A man like him ain't worth worrying about. He's the reason for the flag problem." "I ain't asked for a new flag because I don't want to draw attention. When I retire, this post office will shut down. Only reason it's open now is folks buying money orders. Half this creek pays their bills through me. We're showing a profit here, which ain't exactly something the government is used to." "Because profit ain't what they go by." "If I knew that, I'd be President." Fifty years ago the post office building had housed the company store for the town of Blizzard. The community had run on scrip issued by the mineral company. Now the mines were empty and the town was gone, along with its barbershop, saloon, train station, and doctor. Most of the families were gone, too. The remaining people still walked off the hillsides for money orders, another form of scrip. "If they shut this down," Virgil said, "there won't be much left of here." "Church and grade school," Zephaniah said. "I've throwed hours of thought at it. Blizzard's old and wore out, and the government's getting rid of it. They ain't too many to care about us. I'd say even God was right mad the day he laid this place out. It's as slanty a land as ever was." "Maybe you could get a petition." "Who'd sign it, Virge? You can't turn in a petition full of X's. They'd say if these people can't read or write, what do they need a post office for? No, Virge. Blizzard's done." Zephaniah stood with his shoulders slumped, his arms hanging straight as if held by weights. He suddenly seemed what he was -- short and old. "I could retire now," he said. "I'm tired enough, but I'm the last man with a job. That's why I keep working. If I stop, the town stops." "It burnt my daddy up that I never left out of here. He died still mad over it. I know they's some saying you ort to take care of that Rodale boy for killing Boyd. More say it than don't, my opinion. But I say get yourself out of here, and I don't mean Rocksalt, either. There's Mount Sterling to think on, even Lexington. No sense going to the state pen over your brother." Virgil couldn't imagine leaving Blizzard. He'd lived here thirty-two years. Boyd was the restless one, the wild brother, the one who'd leave one day. Virgil had grown up letting Boyd do the talking and later the running around acting crazy. He drove fast, drank hard, played cards, and chased women. Finally, Boyd had done the dying. The narrow hall seemed to squeeze Virgil and he felt a need for breath that he couldn't quite get. He was thirsty. He stumbled outside and smelled honeysuckle vine along the creek. He drove down the road and up the steep dirt lane of his home hill. In his mother's house, he turned on the faucet and let it run to bring water from deep in the earth. He drank two cups fast. His body recognized the water, its cold taste the most familiar sensation he'd ever known. He breathed through his nose as he drank, his chin and shirt wet. He was drinking his fourth cup when he noticed his mother and sister watching from the doorway. He set the cup in the sink. "Mom," he said, "I ain't going to that post office no more." His mother's face didn't change, but the expression of her eyes did. Virgil recognized it as the look she got when Boyd said something outrageous, but she had never regarded Virgil in this manner. He leaned on the sink and looked through the window. It was cracked from the beak of a cardinal that had repeatedly attacked its own reflection. "Where's the mail at anyway?" his sister said. "Well, shoot, Virgie." Sara turned to their mother. "I'll send Marlon directly. I'm glad I married somebody who's got some sense, even if it's just to pick up the mail." "I just don't like hearing that old gossip down there's all. You go, Sara. You'd talk a bird out of its nest." "What were they saying?" Sara said. Beside her, their mother waited without speaking. She had spent most of her life in just such a stance -- silent in the kitchen, waiting for news that was invariably bad. "You don't really want to know, do you?" Virgil said. "They say that Wayne girl is pregnant," he said. "I know that," Sara said. "They ain't but one bunch of Waynes. I mean which girl?" "Lord love a duck, she ain't but fourteen." "Whose is it? Anybody say?" "They's no question of that." "I hate to be the one to tell you, Sara. But it was your Marlon done it." Sara's face changed color. Her breath rasped into the air. Their mother glanced at her as if to make sure Sara wasn't going to collapse, then studied Virgil carefully. "Sara, honey," she said. "I believe he's telling a story." Sara grabbed a sponge and threw it, bouncing it off his chest and leaving a wet mark on his shirt. "If you went for the mail," Virgil said, "you'd know true gossip from wrong." "If you can't fetch mail," Sara said, "you at least can mow the yard." Boyd had taken care of the yard and retrieved the mail. Four months after his death, the family was still trying to divvy up chores. Wade Hall The Baltimore Sun With The Good Brother Chris Offutt shows us storytelling at its best in a novel in which the story is only the beginning of its riches. 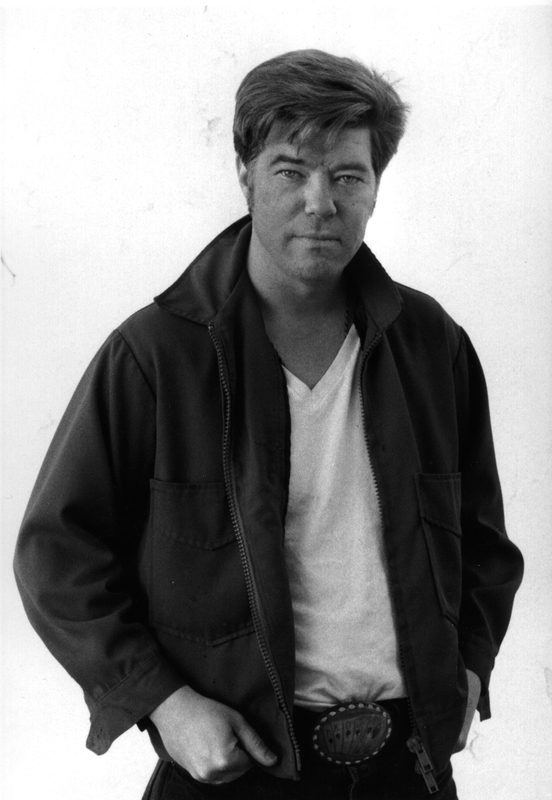 Blake de Pastino Albuquerque Alibi Chris Offutt has made a famously difficult transition -- from the short story to the novel -- with style and grace. He has himself developed into a writer of high order.